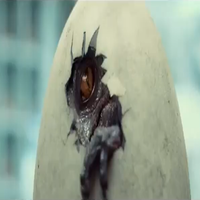 A Florida State University research team says it took 3-6 months before a baby dinosaur hatched from it's egg, depending on which kind of dinosaur it was. 90 mya Zuniceratops footprints as well of that of tyrannosaur footprints found in New Mexico. This also helps prove that tyrannosaurs did hunt in packs. Or at least family packs. Not sure if this counts, but might as well. Researchers say they have found Ice Age era genes in Siberian Moose. Trilobites reproduced by laying eggs. 80 million year old Brachylophosaurus Collagen found in 2009 has been officially confirmed. I've heard that thing about dinosaur eggs taking up to 6 months to hatch. Apparently, this is now a new theory as to why the non-avian dinosaurs went extinct. Fossils of wolf sized otters that were 110 pounds found in China. The fossils are 6.2 million years old. Therizinosaur footprints and sauropod footprints found in British Columbia. The Mammoths of Waco died not from a flood, but from drought. Huge News. 195 mya old Lufengosaurus collagen and iron-rich proteins found. And this is an Early Jurassic dinosaur, too. A new speices of dicynodont is named Bulbasaurus phylloxyron, bulbous nosed leaf cutter lizard. And yes, the name was inspired the the Pokémon, Bulbasaur. Scientists say that woolly mammoths are a few years away from making a comeback via genetic engineering. A new species of an ornithichian dinosaur from Patagonia, this one being from the Jurassic age, has been described as Isaberrysaura mollensis. The part about Mammoths being closer to being genetically cloned is very exciting! I know we've had four movies telling us why resurrected prehistoric life in modern times is NOT a good idea, but the temptation is incredibly strong all the same. I don't think that resurrected mammoths would pose nearly as much of a problem like dinosaurs would. Yes, you'd have to have some sort of preserves and stuff, but other then that, I don't see many problems. Besides, humans were a huge factor in killing them off. The way I see it, we have a moral obligation to bring back any animal that we have rendered extinct. That includes the Passenger Pigeon, Steller's Sea Cow, and the Tasmanian Wolf, although that one could still be alive with all the sightings that have happened. A new Late Jurassic pterosaur found in western Liaoning, China. It's name is Douzhanopterus zhengi. 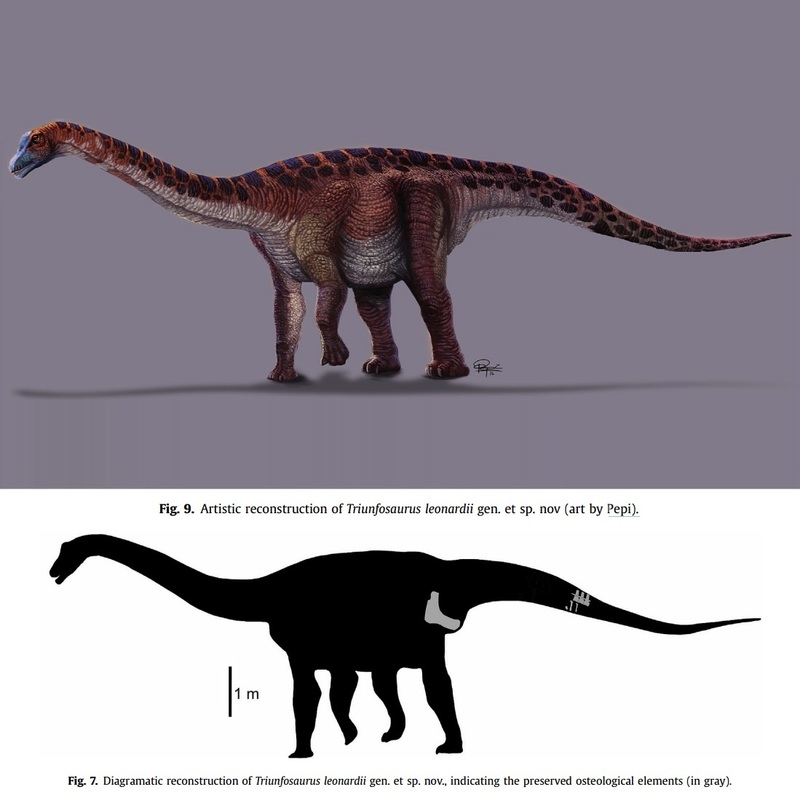 One of the oldest described basal titanosaur ever recorded, that was found in Gondwana is named Triunfosaurus leonardii. It's based on not very much though. One would have thought that more remains would have been found. Ancient DNA found in 1,000 year old fossil of a giant tortoise on the Great Abaco Island. The body outline of Anchiornis partially revealed through laser fluorescence. How often has that been done to fossils? That I know of, I think it has been done to some Confuciusornis fossils and some pterosaurs. Otherwise this is a pretty new development, so I would expect to see more in the future. The final Woolly Mammoths died out due to a 'genomic meltdown'. 105,000 to 125,000 year old human skulls found in China are half human and half Neanderthal. Possibly a new species. 2 different species of Ichthyosaurus have proven to be the same one. At least 6, possibly 8 new dinosaurs 25 types of dinosaur eggs found in Cretaceous era rocks in China’s Zhejiang province. New discovery of plant that's 400 million years older than the plant previously thought to be oldest on Earth. Teeth from a large tyrannosaur found in Mexico. A 100mya piece of amber shows that male damselflies used their large colorful legs to attract females. Sauropod dinosaur footprints that were found in NW Australia are even bigger then the ones found last year in Mongolia. 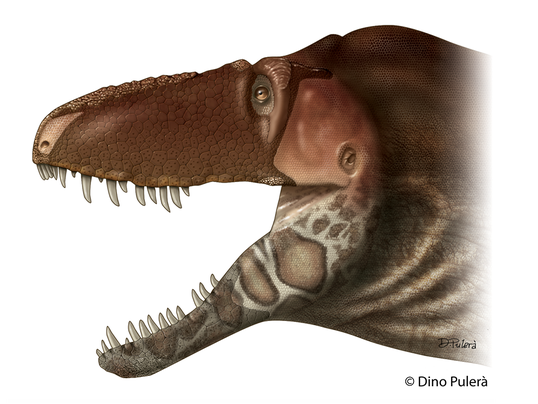 Chenanisaurus barbaricus, a new abelisaurid theropod, has been described from a jawbone and teeth. It was found in the Ouled Abdoun Basin in Morocco, North Africa and is supposed to be one of the larger abelisaurs. Here's some really big paleo-news. A new speices of Daspletosaurus has been found. Also, it was found with with natural armor protection: Sheaths of horn, armored skin, and large flat scales. In other words, it had head/face protection like a crocodile does. Also, Utahraptor was much bigger then we thought. Looks like Jurassic Park managed to get at least one thing right about T. rex, even if it was their reptillian lips or lack thereof. With the increased stocky frame of Utahraptor, it was probably not as fast as some other larger carnivores, I'm not even sure if it could jump with a a build like that. Still, a truly ferocious looking predator! Subject: Re: Paleo discoveries of 2017.